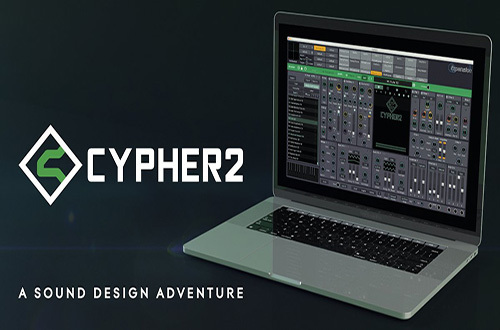 FXpansion Cypher2 2019 Mac is designed for deep sonic exploration and expressive performances. It features a vast range of sound design tools and over 1300 sounds, including 500 MPE-optimised presets. Experience an unparalleled level of expression through analogue-modelled oscillators, waveshaping and thru-zero FM. 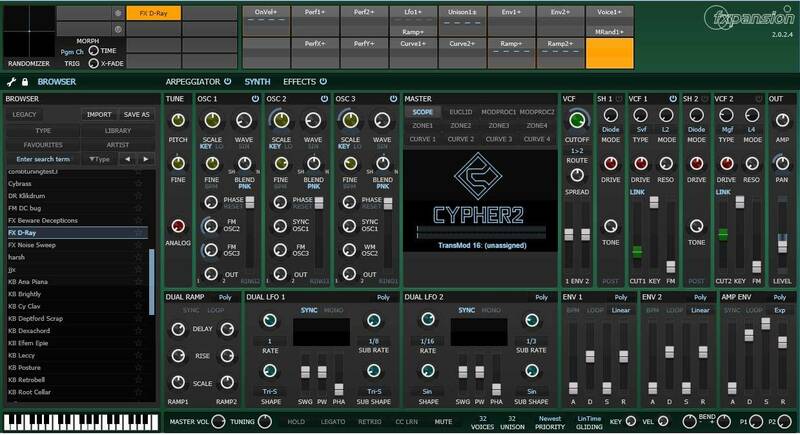 Modulate the master sequencer with 3 mod sequencers and an expanded control matrix. Improved interface with real-time animated modulation, full signal flow visuals and preset descriptions. Default MIDI CC mappings for both 2D and 5D controller types. 6 circuit-modelled filter types, each with a varied set of responses, including a comb filter model with 8 comb types. Scalable interface for 4K/retina screens with a variety of themes. LFOs are expanded with clock-divided sub-LFOs for synchronisation or free-running modulation. Updated envelope shapes for precise control. Feed your creativity with preset morphing and randomisation. Support for microtonal Scala .TUN files.